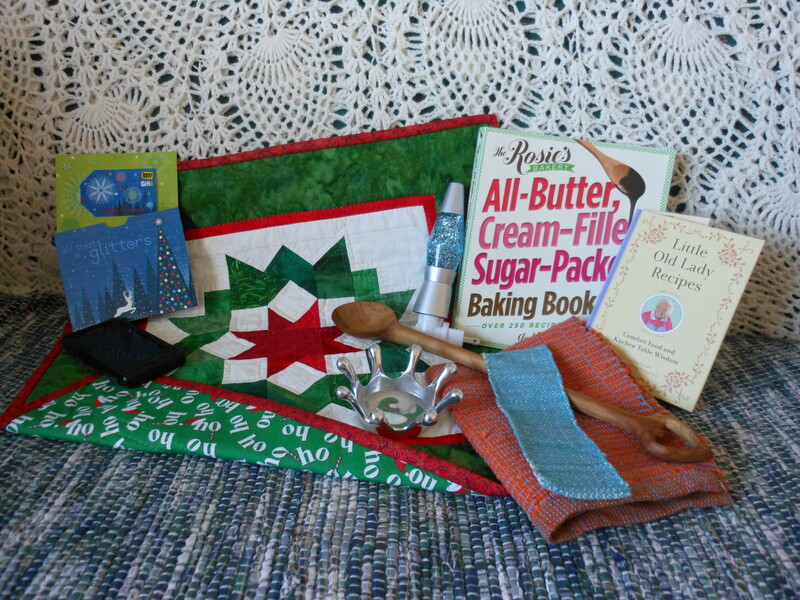 Thought I would finally get around to saying something about our Christmas presents! I got some handmade things this year, and I always love that! I haven’t looked through the other cookbook in detail yet. 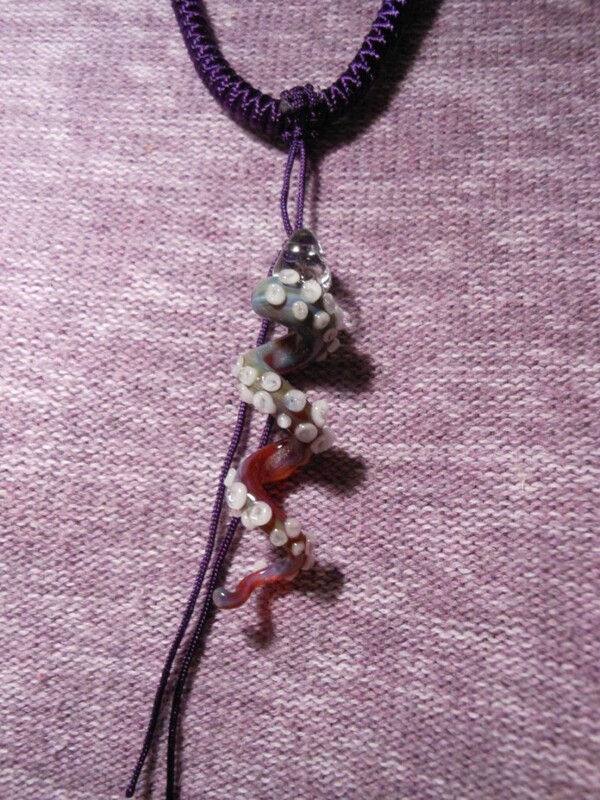 This is my tentacle necklace, which I loved, and which has already bit the dust. You can’t really see in the picture, but the glass tentacle is tied on with cord. Let’s just say that cord doesn’t stay tied onto glass real well, and the tentacle hit the floor in Safeway the 2nd time I wore it. It was my favorite present and now I am sad….I think I am going to write to the maker and suggest there could be a better way to hook the tentacles on. My parents got us a Best Buy gift card (new DVD player? 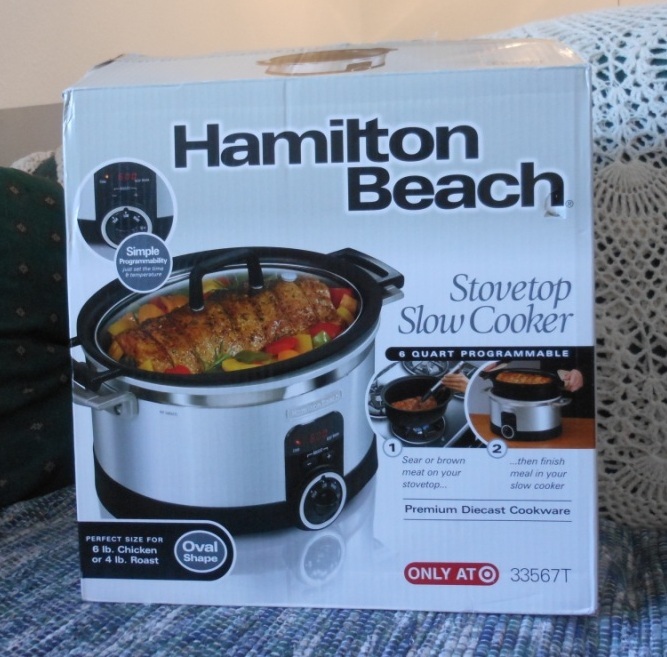 since ours like to play some DVDs but not others) and a new Hamilton Beach Slow Cooker. This one has a metal insert so you can take it out and sear meat on the stove top if you want. Tried it out yesterday but I had to leave for a work trip so I don’t know how the roast turned out, will have to hear from Ken. 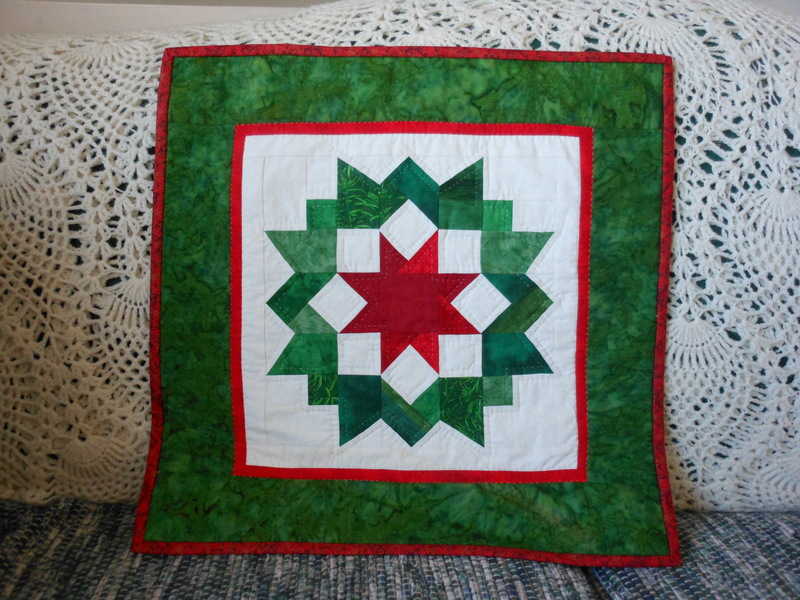 My friend Cyndi made me this beautiful Christmas table-topper. She also gave me a crown jewelry holder (she knows I have a thing for crowns) and a lava lamp night light (she knows I have a thing for lava lamps…), you can see those in the first picture. Have I mentioned how much I like handmade gifts? 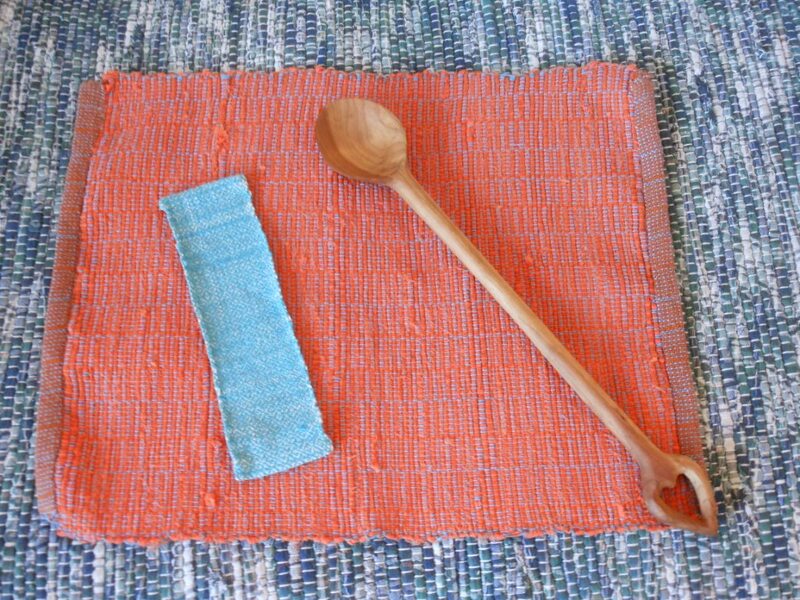 My Aunt Connie made me this orange and blue woven table topper (she had no idea it was Broncos colors, she just knew I liked bright things) and a bookmark for winning a contest on her blog, and my Uncle Norman made me this wonderful cherrywood hand-carved spoon. Aunt Connie and Uncle Norman do a lot of re-enacting and education for kids and adults about the frontier/pioneer living and handicrafts. They are both very talented, as you can see. Here is a close up of the weaving on the bookmark, how intricate! Ken’s folks gave us cash, which is always appreciated, and went toward our new bedding ensemble. Ken really didn’t rake it in as far as amount of gifts, I got him an Otterbox for his phone and I am still trying to find him a scarf he will like. Hopefully will find him some make-up gifts in January. He really wants a fancy new camera, maybe when we win the lottery…..: ). So glad that you like your pieces … the orange was a given. 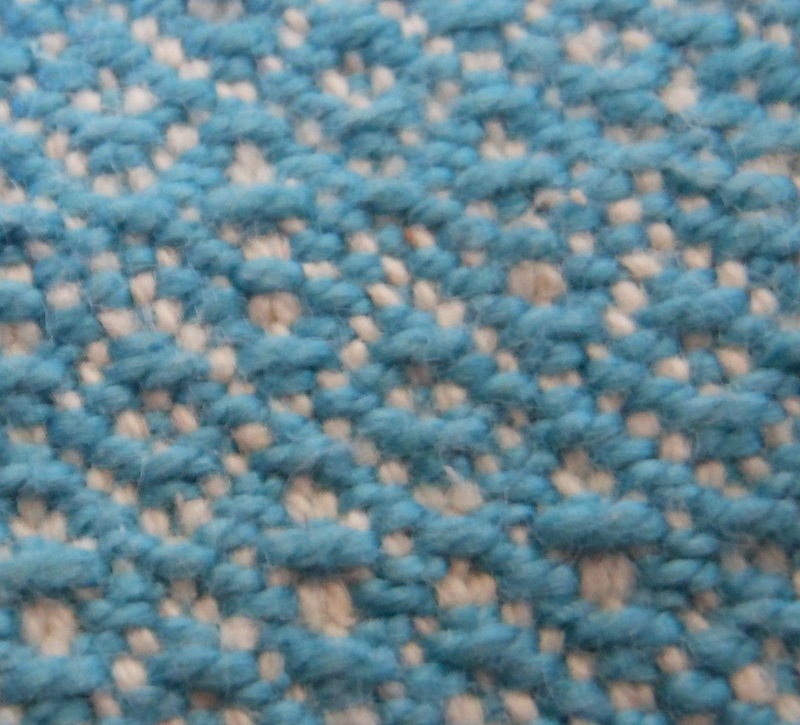 And if you look closely at your runner and your mom’s napkins / place mats, you might notice that the warp (long blue and brown threads) are the same …. planned that way, don’t cha know?